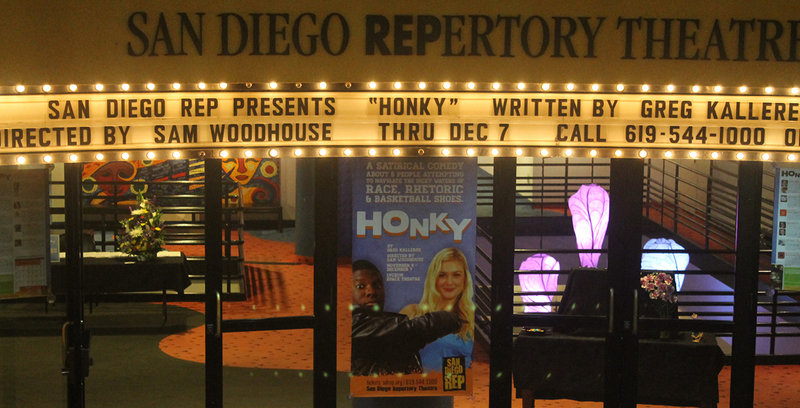 Contact Company Manager, Sarah Zimmerman at 619-231-3586 x622 or szimmerman@sdrep.org for details. The Lyceum Theatre, located in the heart of downtown’s Horton Plaza and the historic Gaslamp District, has two state-of-the-art theatres, a two level art gallery, and a lobby with a full concessions stand and intimate “Underground Stage.” Our affordable base package comes complete with volunteer ushers, a friendly and helpful box office sales staff, a master electrician, a generous sound and lighting inventory, and more! Budget concerns? There may be a way we can accommodate! We offer funding assistance exclusively to our San Diego based Not-For-Profit renters, which could dramatically reduce your rent! The Lyceum could be perfect for your fundraiser,corporate event, reception, lecture, fashion show, concert, play, or musical. 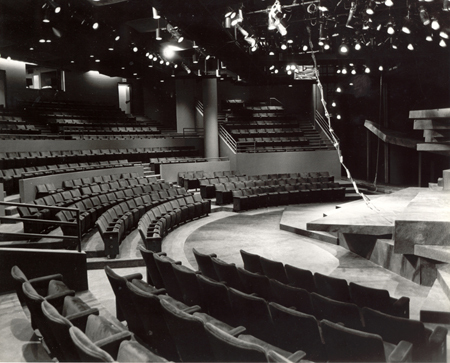 For specs on the Lyceum STAGE Theatre (a modified thrust theatre), click here. For specs on the Lyceum SPACE Theatre (a black box theatre), click here.